Egypt's Prime Minister Mostafa Madbouly and Minister of Tourism Rania Al-Mashat discussed on Thursday in Cairo the deaths of two British tourists in Hurghada last week with Thomas Cook's CEO Peter Fankhauser, the minister of tourism said in a statement. Minister Al-Mashat said that both PM Madbouly and herself assured the CEO of the British holiday company, which organized the John and Susan Cooper's trip to the Red Sea resort city, that the Egyptian authorities would leave "no stone unturned" in determining the actual cause of the death of John and Susan Cooper. The statement added that "the same assurances have been given to Mr and Mrs Cooper's daughter Kelly Ormerod and the British ambassador to Egypt, John Cassen." The prime minister reaffirmed to Mr Fankhauser the Egyptian government's commitment to total transparency in its undertakings, Al- Mashat added. Last week, John Cooper, 69, died in his hotel room at the five-star Steigenberger Aqua Magic Hotel in Hurghada. Shortly after, his wife Susan Cooper, 64, was taken to the local Aseel Hospital after she suffered a loss of consciousness, but efforts to resuscitate her failed. The Egyptian ministry of tourism said that a preliminary medical examination report showed that the British couple died of natural causes and that there was no evidence of criminal foul play. The office of Egypt's prosecutor general issued a statement on Saturday saying that investigations revealed that no harmful gases were released by the air conditioner at a hotel room where a British couple died in the Red Sea governorate earlier this week. On Thursday, Thomas Cook, the British holiday company, also issued its own statement following the meeting saying that it continued to speak with the Egyptian and British authorities to work together to prioritise "the very best interest of the Cooper family." "The well-being of our customers in Egypt remains of paramount importance," Thomas Cook said in its statement. The Egyptian prime minister assured Frankhauser that the Egyptian authorities are doing their utmaost to ensure that the investigation is comprehensive, transparent and provides the answers as soon as possible, Thomas Cook said. According to the minister of tourism, a thorough autopsy is currently being carried out on the two bodies by a team of forensic pathologists. Al-Mashat anticipated that the results of the autopsy would be available during next week. "Once the pathologists have completed their detailed forensics analysis, our priority will be to then contact the Cooper family in England to explain the findings as they more than anyone need to know what happened to John and Susan," Al-Mashat said in a statement. The bodies of John and Susan Copper will be returned to England next week, the statement continued. 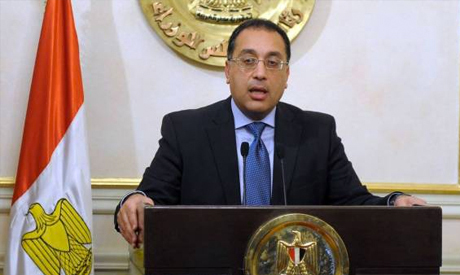 The statement highlighted that investigations in the two death cases are being conducted by Egyptian Prosecutor-General Nabil Sadek. The prosecutor-general's team is currently inspecting and examining forensic details of all hygienic aspects in the Steigenberger Aqua Magic Hotel in Hurghada where the British couple was staying, the statement explained. Following the deaths, Thomas Cook offered its 300 customers at the Steigenberger Aqua Magic Hotel, where the incident took place, the choice to move from the hotel as a precautionary measure after the death of the Coopers or to fly them back to Britain instead.